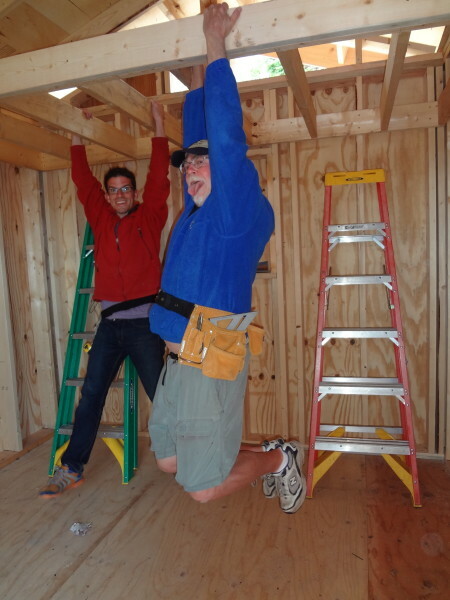 Building the loft and finishing up! 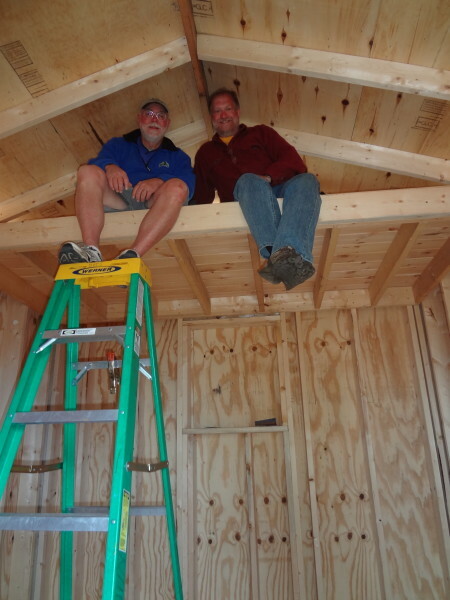 To create some storage room in the cabin, we built a loft. 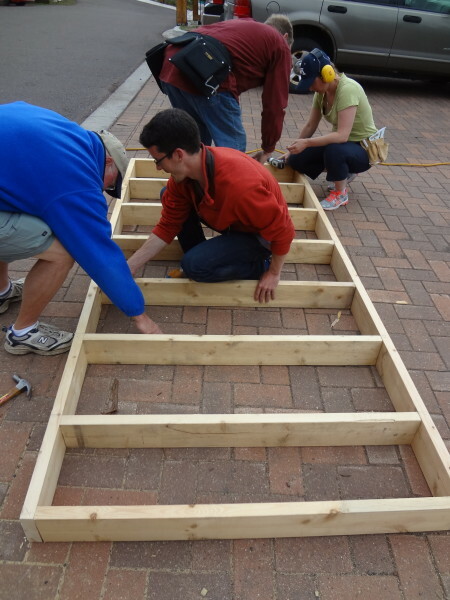 The loft frame was constructed as a 4-sided box with 6 floor joists, using 2×6’s. 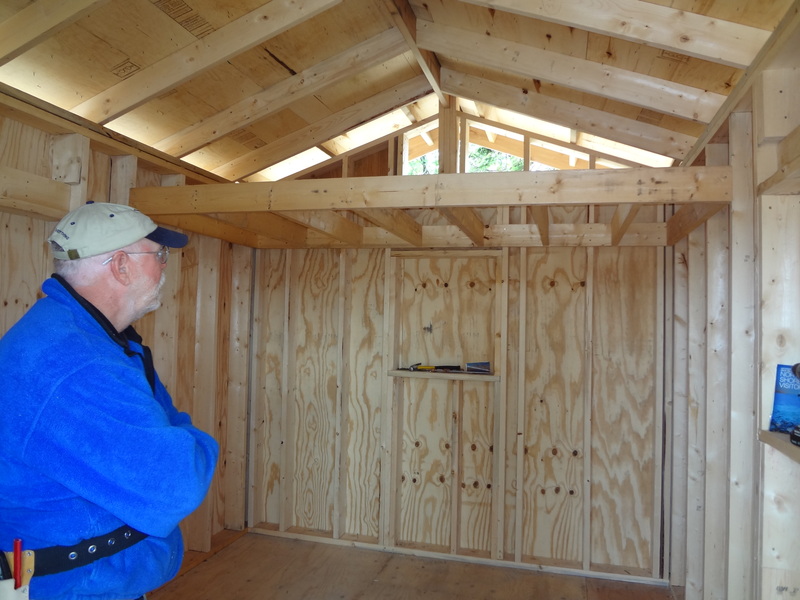 The long sides of the loft were cut to 109 1/4″ (the interior width of the cabin from stud to stud). The width of the loft was 51 1/2″ (the short sides were cut to 48 1/2″ to account for being sandwiched between the 2 long ends of the rim joist). 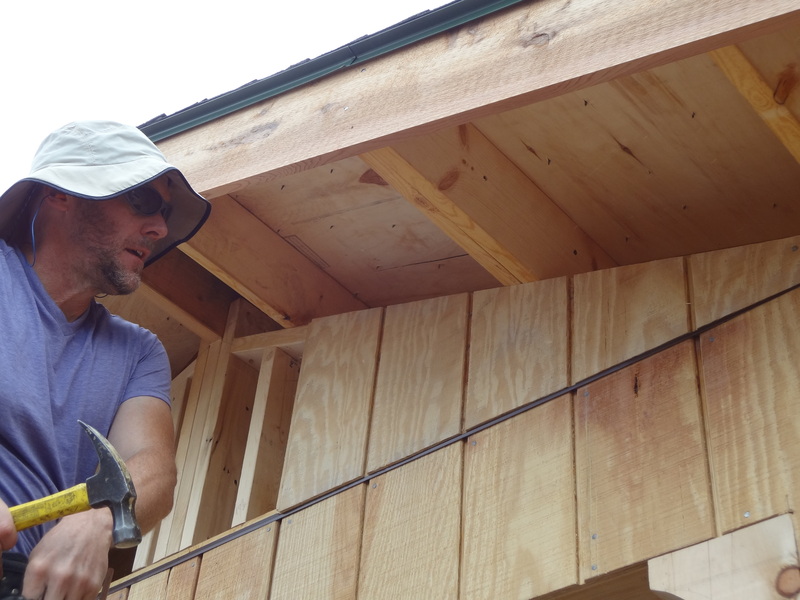 The loft frame was then installed above the height of the window opening. 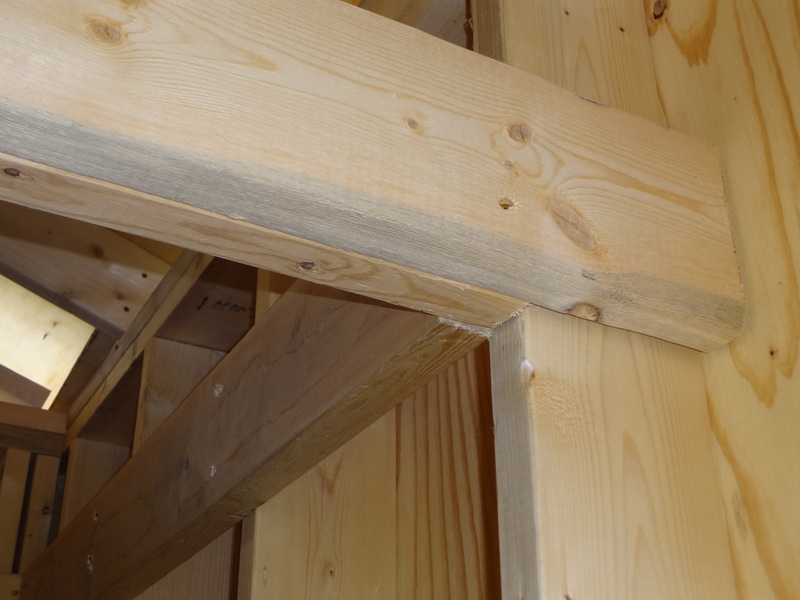 An additional 2×6 was fastened to the loft and to the wall studs for support. 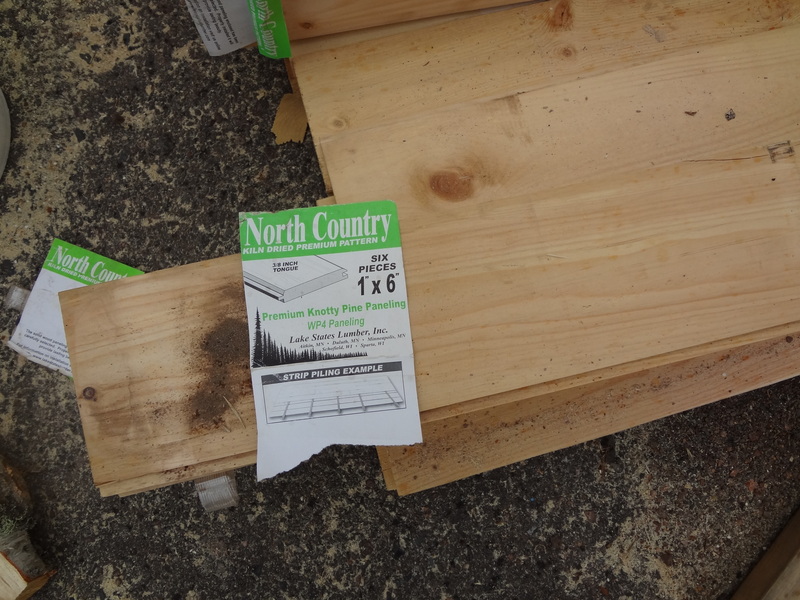 The floor of the loft was made of knotty pine 1×6’s with 3/8″ tongue (WP4 Paneling), laid perpendicularly across the floor joists. 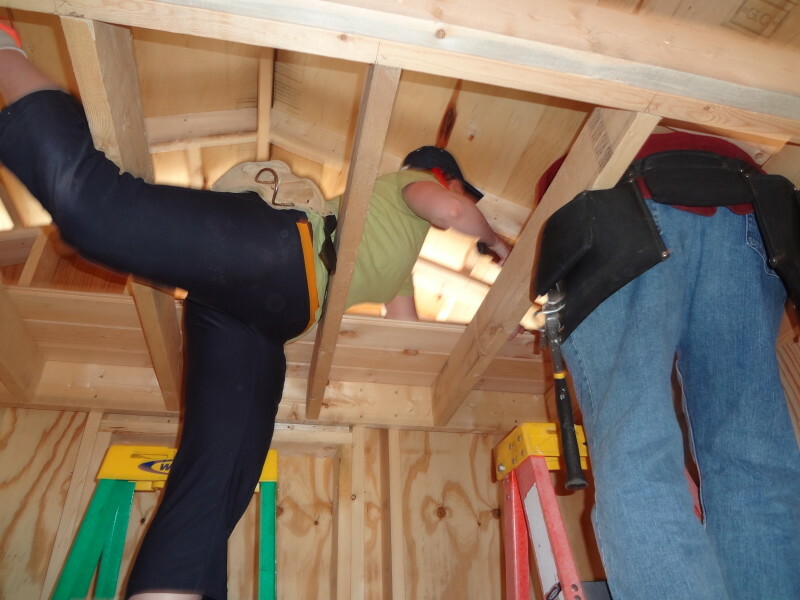 While the loft team completed their project inside the cabin, some of us worked on making the gable ends — installing siding over the front and rear gables. 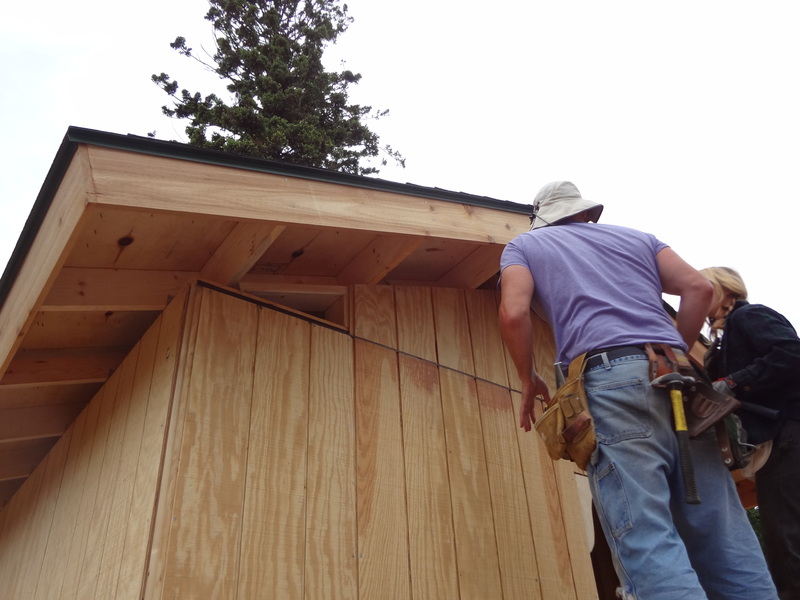 We constructed each gable end out of 3 pieces cut from 4′ siding panels (the same siding as the exterior walls). 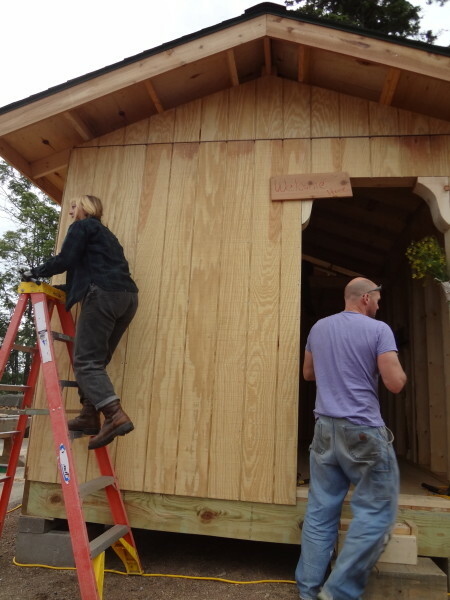 The gable ends sit on top of the Z-flashing.